In today’s Yezhednevnyy zhurnal, Aleksandr Golts turns his skeptical eye toward the PAK FA, Russia’s 5th generation fighter aircraft which just took its first test flight. Golts says, looking a little like the F-22 and even more than the Su-27, PAK FA called forth a storm, a waterfall of success reports. He notes that Prime Minister Putin cited it as proof of the wisdom of creating the United Aircraft-building Corporation [UAC or OAK] four years ago. Those in charge of the project are breathing easier. After the Bulava SLBM failures, getting the new fighter off the ground was a matter of principle, especially since the leadership promised that it would fly every year since 2005. Golts believes the Bulava failures combined with the 5th gen fighter delays caused people to discuss whether Russia could modernize, and whether it could develop high-tech products. One thing Bulava and PAK FA have in common is that both are truly Russian projects, ones that are being implemented without dependence on significant leftover Soviet-era resources. Their results could enable observers to question whether the OPK is being managed correctly, whether it was smart for Putin, [Sergey] Ivanov, and Chemezov to herd hundreds of enterprises into several gigantic OPK kolkhozy. Golts says some aviation industry leaders worried that OAK was created, not to concentrate resources to build PAK FA, but for Moscow bureaucrats to get their hands on profits from foreign aircraft orders [doesn’t ROE do this already?]. And Golts reminds that around 2000 then-Minister of Industry Ilya Klebanov said PAK FA development would cost $1.5 billion, but as we’ve learned the pricetag was closer to $10 billion over ten years. And it had to fly no matter what, and so it did. But what actually flew, Golts asks. One thing for sure, the first new airframe in 25 years. And that’s it. Everything else–speed, max and min ceilings, radars, weapons systems–all remain to be seen. As for the engines, Golts says we just don’t know. Years ago the engine producers fought it out to be the designer and builder. NPO ‘Saturn’ won out. And, according to Golts, its director started to lie. Putin and Ivanov both recognize that the engine problems will take some time to work out. But on the day of PAK FA’s first test, the managing director of ‘Saturn,’ who directs the PAK FA program for the United Engine-building Corporation [ODK], claimed the new fighter has the newest engine, not an improved version of the Su-35’s engine, as the press and specialists have written. So what Putin and Ivanov worried about was secretly resolved by NPO ‘Saturn’ and the new engine is ready. This is great news for Air Forces CINC Zelin. Just four months ago he said that the PAK FA engine couldn’t be foreseen in the near future. He said it would fly with a ‘Saturn’ engine, the 117S, a ‘deeply modernized’ version of the AL-31F. So, according to Golts, either ‘Saturn’ decided to pawn off on the Motherland an engine it demonstrated four years ago or, worse, having pocketed the contract, it simply decided to put old engines in a new aircraft. Golts concludes honestly that he can’t say whether PAK FA will be a true 5th generation aircraft, but it has taken off in a thick fog of lies. And here’s the distinction between it and Bulava; there’s no way to hide Bulava’s failures since the U.S. gets the telemetry and people in other countries can see evidence of an unsuccessful test launch. There aren’t the same limits on lying about PAK FA. So PAK FA is a “cat in a sack.” You can’t say much for sure about the cat, but don’t worry, it’s a 5th generation sack. This entry was posted in Air Forces, Defense Industry, Force Modernization and tagged 5th Generation, Aleksandr Golts, Bulava, Fighter, OPK, PAK FA, T-50. Bookmark the permalink. Considering Russia is considered by many in the west as almost a third world country with nuclear weapons I would be proud of the first flight of the T-50 prototype. No, it is not an in service fully operational 5th gen stealth fighter, but no one has ever claimed it was. Starting with a flying prototype is how everyone develops aircraft and so far the only prototype 5th gen fighters have been American… one on their own and one with a lot of money taken from mugs who have no say in the design or further development. India has reportedly offered to put 2 billion into the development of a joint PAK FA to be developed from 2016 or so, but the plane whose prototype flew a month ago is all Russian, which is quite an achievement. BTW regarding looks doesn’t the Mig-29, Su-27, Mig-31, F-18, F-15, F-14 and F-22 all look rather like the Mig-25 regarding engine layout and positioning, and tailfin and wing layout? The F-22 looks like a stealthy F-15, and the F-15 looks like a Mig-25 too so suggesting the PAK FA is less of an all new design is probably paying tribute to the Mig design bureau more than any American design company. Yes, but how does Russia consider itself? It still considers itself a world-class military superpower that has world-class defense industries . . . but it isn’t and it doesn’t. Flying a prototype in early 2010 and saying you’ll field them by 2013 or 2015 is fluff for public consumption. There’s no aircraft engineer or expert at work here, and Golts isn’t one either. The purpose here is to cut through the smoke, mirrors, and propaganda laid down by the Defense Ministry and the OPK. Western observers shouldn’t allow themselves to be too impressed with the Russians until they can see how much reality is behind the claims. Thanks for reading. But what does superpower actually mean? It doesn’t seem to get respect from anyone anyway. The Viet Cong didn’t roll over for the Americans and the Soviets didn’t have an easy time in Afghanistan simply because they were considered superpowers at the time and those they were fighting would count as third world. During 1941 the Soviet Union went through the process of losing most of its heavy industry, which had to be recreated beyond the Urals while fighting an enemy that had already easily defeated western europe a year before. In the early 1990s Russia went through the sudden dismemberment of most of its heavy industries, and the first of several economic collapses. I rather doubt the Russians are wanting to impress these western observers, but rather they are wanting to ensure they are secure from external aggression. Western observers don’t understand this because they believe their own propaganda and think Russia was the aggressor that imposed its will on all the Soviet republics and also eastern europe. The irony is that the Russians suffered under Stalin as much as any in eastern europe or the Soviet Republics. Regarding your claim it isn’t a world power, I would suggest to you that from the other side of the planet in little New Zealand at a time when the self proclaimed last superpower can’t afford more than 200 large stealth fighters and 20 stealth bombers and needs external financial support to develop what appears to be a stealthy F-16, I think the Russians aren’t doing too bad. The fact that the Russians can nuke the whole world just as completely as the US could suggests to me they are still a power to be repected if not feared. They have been jumping hurdles for the last two decades while the rest of us have had things pretty easy so I really don’t expect parity in quality or performance. Having a “the sky is falling” view is good to keep the focus on what needs to be done, but you also need to be realistic too. Without a powerful navy being a global power is not possible except 2,000 years ago when the globe was smaller. Building a powerful navy takes decades and I really actually don’t think the Soviet Union was truely a global power like the US is and the UK was anyway. It was just too restricted in the types of vessels it had to project power. BTW thanks for providing such an interesting website. It is hard to find a good up to date site with news about Russia in English for us dummies that don’t speak Russian. Russia isn’t a superpower? I think you guys have a poor understanding of military hardware. Russia has a superior land force, and missile force to NATO. The S-400 or even S-300PMU-2 completely outclass the PAC-3 on all parameters. It took 20 years for America to catch up with the T-80U and the T-80UM2 (Black Eagle Tank), which was first shown in the 90’s completely outclasses any Western MBT. The US beats Russia in sheer size. The Su-27 is better than the F-15 (determined in tests that took place in Korea), and the Russian Su-27 fleet would defeat the US F-15 fleet. The F-16 fleet is large, and that is the only reason America has a better air force. 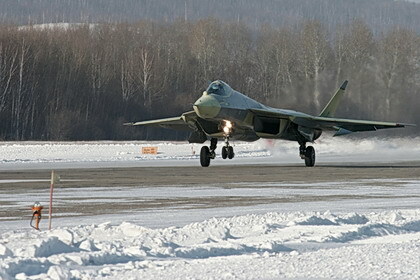 The PAK FA completely changes the paradigm of fifth generation aircraft. The PAK FA has a much better situational awareness (X, L band AESA radars, 1500 element AND OLS) compared to the F-22 which has only one weaker AESA radar. People used to think that the F-22 was flawless, now we see how worthless it truly is. The F-35 is worthless. The PAK FA also has better maneuverability. 3D TVC and around a 1.4 T/W and more control surfaces make it much better. By the end of the decade Russia will be the premier, unchallenged world military power. Russia is certainly a superpower, there can be no question of that, but their military power is not the equal of NATO or the US at the moment. The potential is there, the Su-35S is better than any model F-15 but inservice F-15s are better than current in service Su-27s because the US equipment is updated while the Russian stuff hasn’t been updated since it entered service 20+ years ago. In SAMs the Russians are superior, but in so many other important areas they are behind in what is actually in service. That is OK because the Russian military is intended to defend Russia, not create and maintain a global empire like NATO and US forces are.